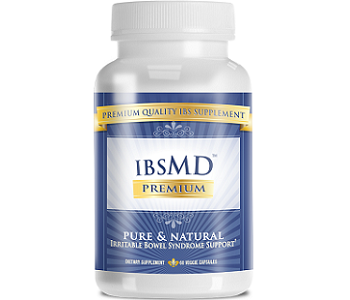 Read our review below about IBS MD Premium. 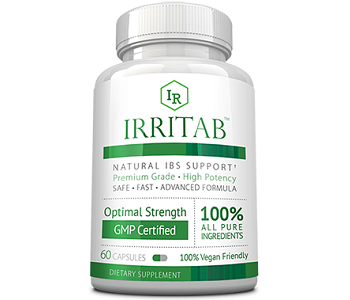 The manufacturers of this dietary supplement claim that their all-natural supplement is of the highest quality, offering IBS support at a better price than other, similar products. More so, they claim that their product is the most effective product offering IBS support. This formula contains 21 ingredients, which include 10 digestive enzymes, as well as vitamin D and BioPerine. The digestive enzymes such as lipase, amylase, papain, and protease offer intestinal support. Lipase, for instance ,helps to reduce gas, fullness, and bloating. The formula contains key anti-inflammatory and soothing ingredients, such as the soluble fiber psyllium, peppermint oil, turmeric, aloe vera, fennel oil, ginger root, and more to help relieve digestive issues. Together, the digestive enzymes and herbs help to minimize the uncomfortable symptoms of IBS, while keeping the digestive system working as it should. BioPerine is a concentrated form of Piperine, found in black pepper. Piperine helps with the absorption of the other ingredients. There are no fillers, or additives. The recommendation of the manufacturer is to take 2 (two) capsules each day with meals. No mention is made of whether to drink a glass of water with each dose. Pregnant women and those on prescription medication should first speak to a doctor before taking this supplement. Do not exceed the daily dosage. This dietary supplement is available in various package options. A one-month supply – 60 capsules, 1 bottle, is available on the manufacturer’s website at $40.00. A three-month supply is 3 bottles at $91.00. A four-month supply of 4 (four) bottles costs $112.00. A 6-month supply of 6 bottles costs $138.00. As such, the more you buy, the more you will save. The manufacturer does offer a 100% money-back guarantee. If you are not satisfied you can return the used or new bottles within 90 days for a refund. Still, there is an abundance of positive reviews. These reviews are also backed by clinical research studies and reviews from third parties. When it comes to an effective IBS dietary supplement, IBS MD Premium contains quality ingredients that offer a dual-action solution to painful symptoms of IBS, while keeping the digestive system working as it should. In addition, the supplement contains BioPerine, which helps with absorption of the other ingredients. This formula is free of preservatives, fillers, binders, or artificial ingredients. Besides the quality of the ingredients, the manufacturer offers a 100% money back guarantee, with 90 days to decide whether the product is effective for you, without having to lose your money. The manufacturer also offers various package options. The more you buy, the more you can save. In the long term, consumers can benefit, as this product becomes economically effective. Lastly, this manufacturer does not offer an auto-ship program. Therefore, your credit card will not be automatically charged, making it difficult to cancel the subscription. Instead, this manufacturer provides what the consumer has ordered and paid for.